Where to begin the diving journey? Many dive organisations offer prospective students a chance to discover the underwater world through the ‘one-on-one’ guidance of a dive professional, a perfect opportunity to dispel any common misconceptions that scuba diving garners. The principle objective of the DSD is to ensure that, within a closely supervised environment, people can safely determine whether diving is an activity they wish to pursue, whether it be in a recreational or professional capacity. While it may seem the least of one’s primary concerns, the individual should always consider equipment prior to the activity. Dive schools will often supply the prospective diver with all necessary equipment. However one essential item that can and should be bought prior to the experience is a mask and snorkel. While fins, wetsuit and other accessories are compatible between different shapes and sizes, a foggy or odd fitting dive school mask may very well ruin your entire experience. There is often a strict age requirement to perform a DSD. In Australia, dive schools only allow divers over the age of 12 years old to be taken, under guidance, to a shallow, sandy area where they will dive to a maximum depth of 12 metres (18 feet). Here the instructor will focus one on one conducting basic skills and preparing the person for the ocean environment. The DSD will allow each individual to understand the fundamentals of scuba diving and the marine world. Techniques such as equalisation, breathing and hand signals underwater will be taught before entering the water. While the instructor or DSD leader will be constantly monitoring buoyancy, it is crucial to understand how to equalise the pressure on your body and breath in the correct manner to avoid diving health issues. Basic signals such as ‘ok’, ‘go up’, ‘slow down ‘and ‘I have a problem’ are also taught to avoid any potential miscommunication issues. 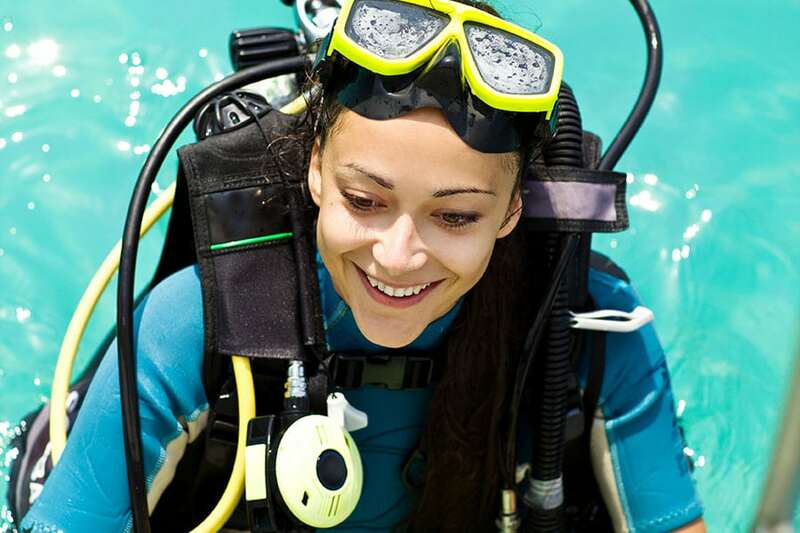 Depending on your instructor, each individual can enjoy a variety of different learning techniques which can encourage them to progress through the diving fraternity. For this reason, it is crucial that people visit or read reviews of dive schools and especially specific DSD reviews, allowing the best experience possible. It is stressed that the DSD is not a diving qualification and will not allow people to dive alone after the 1-5 hour session. Furthermore, many people decide to conduct the experience time and time again, gaining confidence before embarking on their diving education. Ready to find out more? Click here!